Humidity Meter with Dew Point & Thermometer Easy to use digital Instrument, Temperature & Humidity wih dew point. Humidity Meter & Thermometer Large & esay-to-read display, Air temperature & relative humidity reading. Combustible Gas Leak Detector Adjustable alarm & easy one-hand opertation, A long slim gooseneck probe to detect gases in tight areas. 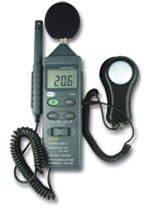 Carbon Monoxide Meter Compact design, Detects the presense of Carbon Monoxide by reading on the LCD and a beeper. Brannan precision instruments are manufactured as per British and European Standards and form the basis of the design and manufacture of these thermometers. The thermometers illustrated are in use throughout the world.